I know it's a JKU and not a Cherokee but I absolutely LOVE this bumper / grill setup and am considering building my own for my ZJ. I would make mine wider, as it would need to be to cover the headlights. But it just seems so cool to have all that protection for the lights and radiator built into the bumper with such a clean look. I don't know who built the one in the pic but I guarantee it was expensive. Which is fine, I like it so much I can see people paying good money for it. But it is the ONLY one I have seen and I just thought I would share it with all you fine folks. fugly. sorry, that thing is hideous. maybe the grill/bumper thing would look better on a grand, but i have my reserves. good luck tho. post pics if you do it, i promise i won't make the same remark. Somebody in my hometown has a setup just like that, on a white Wrangler. I just drove past him yesterday. Not really my style, but to each his own, seems like it could be an interesting project though. Everyone has different tastes I guess. Kinda looks like a rock buggy in the front. 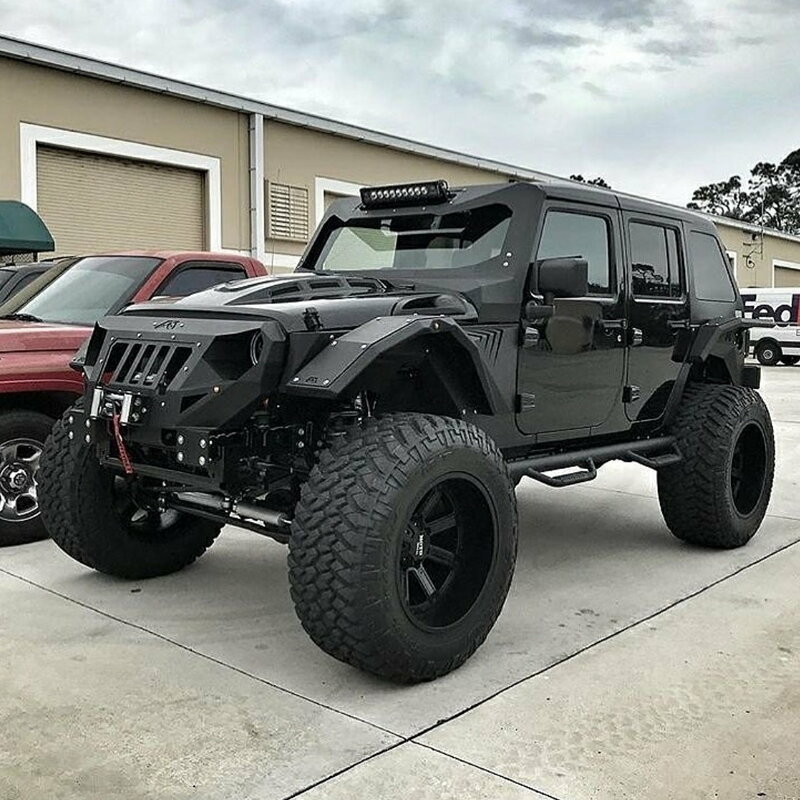 It only fits it well because that jeep has everything else going on. and it has WAY too much going on. those fenders are terrible. Yeah I am not a fan of that Jeep as a whole, just like the bumper. I think it is the Mad Max fan in me that likes it. i love mad max too. but mad max is more steampunk, this is just something that someone thinks is cool. but hey, it's probably not the only one like it.